TURN-KEY FURNISHED GULF FRONT CONDO! This beautifully updated 3 bedroom, 2.5 bath condo with direct view of the Gulf of Mexico is where you want to be. The kitchen has been tastefully updated with stainless appliances (refrigerator is new), granite countertops, nice cabinetry, New faucets, breakfast bar and plenty of cabinets and counter space to prepare your gourmet dinners. Dining room and living room has brand new furniture, including flat screen tv, console, sofa, power loveseat, power recliner, dining table with chairs. Master bedroom has a new king bed mattress and spectacular view of the Gulf of Mexico and the master bath has a garden tub, dual sinks and walk-in shower. Both guest bedrooms are spacious and bedroom 2 has a new queen bed suite. Interior has been freshly painted. New A/C and air handler in 2017. Ceramic tile throughout main living area. All three bedrooms have new carpeting. New stackable washer/dryer. Relax on the newer screened lanai and watch the breathtaking sunsets or take a stroll down the beach. Private entrance with direct access to the elevator. Close to historical downtown Englewood, fine dining, world class fishing, 5 premier golf courses and shopping. 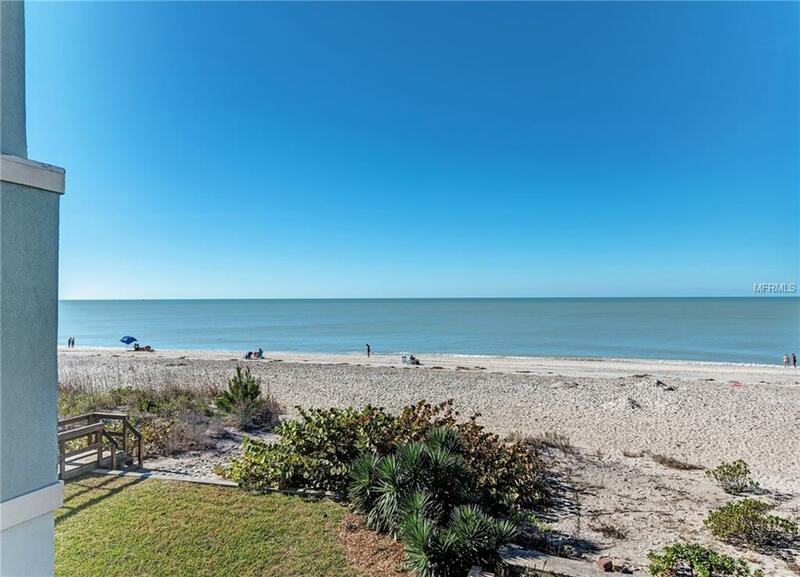 Beach living can be yours! Additional Lease Restrictions Not Less Than 1 Week.